In today’s world, we are privileged to have access to a wide array of information due to our technological advances throughout the decades. With these tools, we have been able to learn, grow, and develop with the knowledge that can be so easily accessed. Even in this age of enlightenment, we still have economic and social tolls that hinder our communities. Socially speaking, we have shown signs of progress. Economically that diversity rarely equates to equality. Low-income minority communities have yet to bridge the gap economically. Blacks, Hispanics, and other various minority groups seem stifled by the endeavors of their social environment. Even though most people have the tools for success, this does not mean one knows how to utilize the full potential of what they hold. We at Social Investment Holdings believe that Regulation A+ is one of those tools that are available to, in part, assist our communities by providing a platform to raise funds in the community’s we have a mission to serve. This allows you as an individual the opportunity to get involved in helping make these positive economic changes. Please view the “Who Are We” video, along with reviewing the Offering Circular, by clicking on the links below and consider joining us by Investing Now to positively impact our communities together! SHARE EXCHANGE AGREEMENT - Although the Company and People Helping Each Other (“PHEO”) had previously executed a joint venture agreement, it was mutually agreed that both parties could benefit from a Share Exchange Agreement. PHEO has agreed to accept 500,000 shares of stock in the Company in exchange for the Company receiving People Helping Each Other’s majority stock ownership in Holdings Enterprises Durables, Sprl. (“HED”), domiciled in the Democratic Republic of the Congo. HED holds the timber concession rights that are described in the Companies Offering Circular (for complete details see “Share Exchange Agreement” page 33 of the Offering Circular). Please read about this relevant transaction along with housekeeping changes and the March 31, 2018 audited financials by clicking on the “View/Download Offering Circular” link above. Public offerings of securities are highly regulated by the Securities and Exchange Commission and self-regulatory organizations. 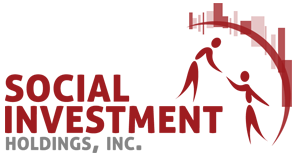 Social Investment Holdings urges you to read the Company's Offering Circular thoroughly before participating in the offering. To receive an offering circular for this company, click on the link above, call (305) 351-2407, or write to: Social Investment Holdings, 2121 SW 3rd. Ave., Suite 601, Miami, FL 33129. The complete Offering Circular is available by clicking on the “View/ Download Offering Circular” link above. This company description may not be printed or downloaded except in connection with the printing or downloading of the entire offering circular. THE SHARES BEING OFFERED CANNOT BE SOLD BY AN ISSUE-DEALER TO RESIDENTS IN THE STATES OF NEVADA, ALABAMA AND NORTH DAKOTA.